As a child, I always peppered everyone with questions. Why is Pennsylvania called The Keystone State? Who invented crayons? What causes a rainbow? My grandma’s eyes would twinkle before she delivered her trademark response: “Look it up in your Funk & Wagnalls.” She was referring me to the dictionary and cream-colored set of encyclopedias that sat on my bookshelf. And sure enough, I would find the answers I sought. Grandma’s words showed me the power of books. They could open doors to new worlds, deepen insight and inspire. So as I thought about where teachers, librarians and parents could find recommendations of black children’s book authors, I remembered Grandma’s advice. I had to look deeper than Funk & Wagnalls this time. But there they were, books full of answers, like precious pearls of knowledge. 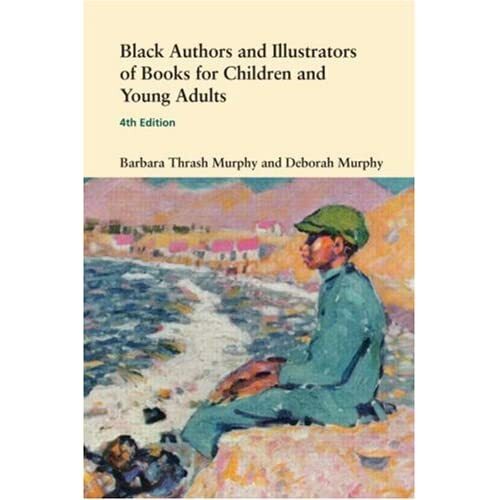 Black Authors and Illustrators of Books for Children and Young Adults: 4th Edition (Routledge, 2006) by Barbara Thrash Murphy and Deborah Murphy. This wonderful 498-page book contains photos, biographical information and bibliographies of more than 200 hundred black children’s book authors and illustrators. Appendices feature a treasury of book covers and listings of Coretta Scott King Award winners and African American bookstores. Black Books Galore! : Guide to Great African American Children’s Books (Jossey-Bass, 1998) by Donna Rand, Toni Trent Parker and Sheila Foster. This landmark work gives descriptions of 500 black children’s books from board books to young adult novels. Highlights include quotes from the books, book covers, author and illustrator portraits and listing of award-winners. Black Books Galore! : Guide to Great African American Children’s Books About Girls (Jossey-Bass, 2000), by Donna Rand and Toni Trent Parker. Black Books Galore! : Guide to Great African American Children’s Books About Boys (Jossey-Bass, 2000), by Donna Rand and Toni Trent Parker. Black Books Galore! : More Great African American Children’s Books (Jossey-Bass, 2001) by Donna Rand and Toni Trent Parker. You can visit the Black Books Galore! website at http://www.blackbooksgalore.com/. This answered my question before I even had the chance to ask! Thanks for the resources. These are great resources! I wasn’t aware of the first one but I am looking for it now. Thanks! I have listed a section on children’s books in my book How to Create Your Own African American Library. It was compiled by a children’s literary professional. Great post – I have two different editions of the Black Authors and Illustrators of Books for Children and Young Adults reference book. This is an invaluable reference to how is publishing today… and a great historical guide decades later. Just think – perhaps future editions will have our blogs! That book is invaluable. Every time I flip through it, I’m inspired. I look forward to future editions.